The study, titled “The mass of the Milky Way from satellite dynamics“, recently appeared in the Monthly Notices of the Royal Astronomical Society. The study was led by Thomas Callingham from the University of Durham’s Institute of Computational Cosmology, and included members from the Massachusetts Institute of Technology (MIT), the Heidelberg Institute for Theoretical Studies, and multiple universities. These include the intricacies of galaxy formation, discrepancies with the current Lambda Cold Dark Matter (Lambda CDM) model, alternative theories on the nature of dark matter, and the large-scale structure of the Universe. What’s more, previous studies have been hampered by a number of factors, which include the fact that the Milky Way’s dark matter halo (which makes up most of its mass) cannot be observed directly. The EAGLE software (Evolution and Assembly of GaLaxies and their Environments), which was developed by Durham University’s Institute of Computational Cosmology, models the formation of structures in a cosmological volume measuring 100 Megaparsecs on a side (over 300 million light-years). 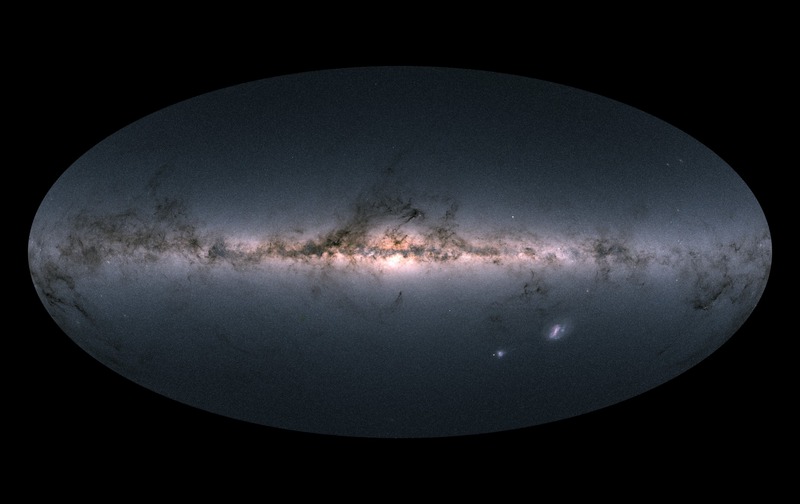 However, using this software to infer the mass of the Milky Way presented some challenges. In addition to providing astronomers with refined measurements of the Milky Way’s mass – which will go a long way towards informing our understanding of its size, extent, and satellite galaxy population – this study also has implications for our understanding of the Universe as a whole. What’s more, it is yet another groundbreaking study that was made possible through Gaia’s second data release.